The third Technology Diplomats’ Innovation Resource Matchmaking Action focusing on “bringing together global innovation resources for technology-driven development” sponsored by Beijing Technology Exchange & Promotion Center and China International Technology Transfer Center and organized by ChinaWorth Global Tech Consulting (Beijing) Co., Ltd. was successfully held on June 26 in Beijing. 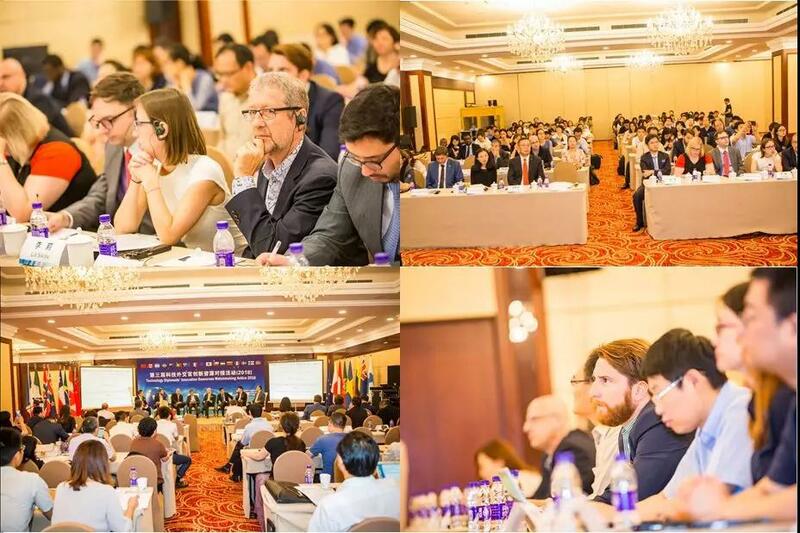 More than 150 delegates, including officials from embassies of countries and regions including Canada, Brazil, Lithuania, Sweden, New Zealand, Portugal, Australia, Italy, Chile, Japan, Norway, Finland and EU in China, and representatives from research institutes and businesses in China took part in the Action. 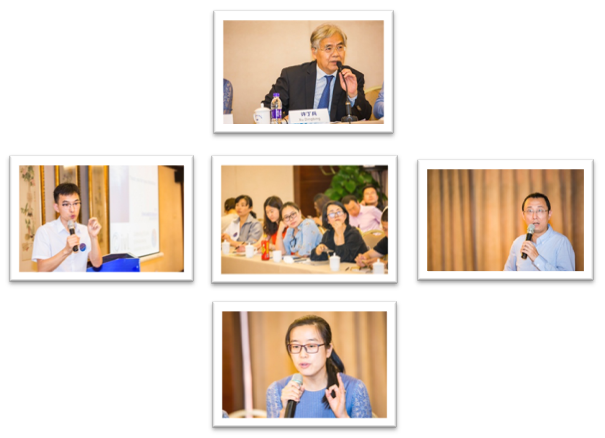 This event was moderated by Mr. Huang Ping, Director of Beijing Technology Exchange & Promotion Center, China International Technology Transfer Center. 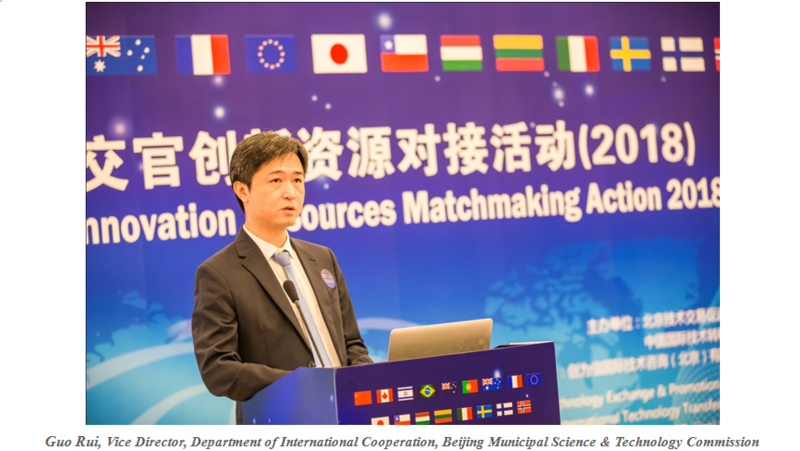 Guo Rui, Vice Director at the Division of International Collaboration, Beijing Municipal Commission of Science & Technology welcomed all countries to Beijing for strengthening S&T cooperation and exchange. “We will continue to pool together high-end innovation resources across the globe to support high-level S&T innovation at home and abroad. Beijing will further optimize its policy environment, introduce foreign high-end innovation talent to start up business and make investment, loosen foreign venture capital investment policy, and attract VC firms to participate in S&T achievements transformation as required by establishment of S&T innovation centers across China”, Guo said. “In addition to ‘bringing in’, we also need to ‘go out’. We encourage domestic businesses to find their way to bring their technologies, products, standards and brands to foreign markets, expand their international presence, foster competitive local multinationals, and attract foreign businesses to connect and cooperate with domestic businesses in respect of high-end technology”, Guo added. 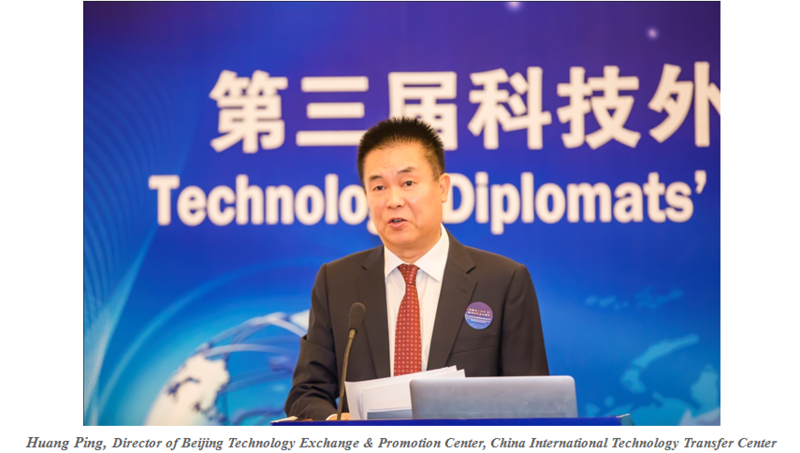 He hoped that this branded international innovation cooperation event could further promote international technology transfer cooperation and exchange and serve the development of technology innovation center in the capital. Over the last 30 years, the European Union has launched a wide range of scientific research programmes, including Horizon 2020 which is collecting specific projects. 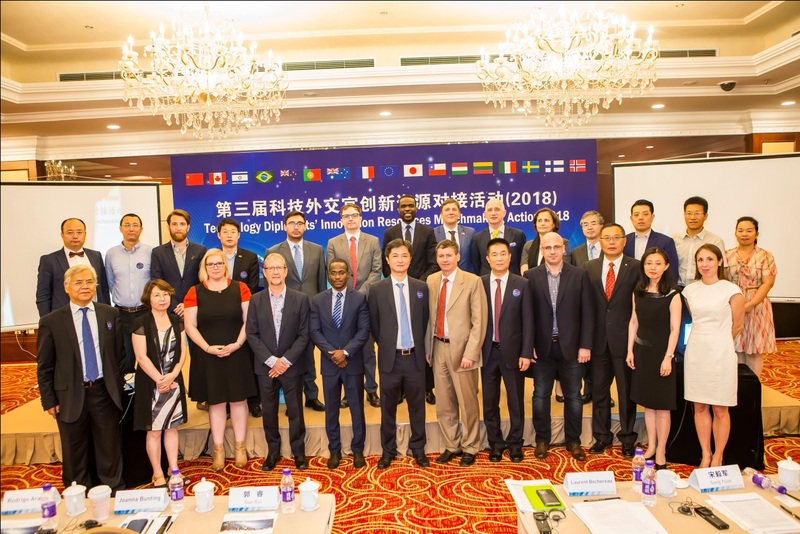 In addition to 28 EU member countries, 16 other countries and Chinese scientists team is attracted by the programme of which 60%-80% are open to the world. 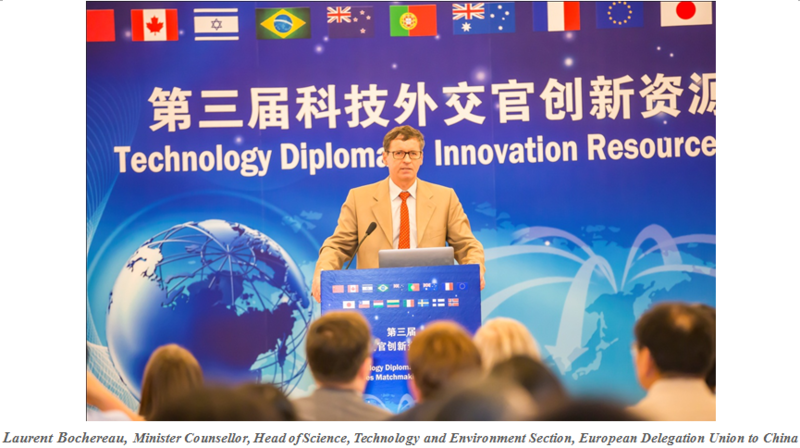 “We sincerely invite Chinese scientists to apply for open projects and get involved in international scientific and technological cooperation in the European Union,” said Laurent. According to Laurent, this “comprehensive, integrated research and innovation programme” into which large sums of money have been invested is supported by three pillars: the first is excellent science which carries out innovative research in biology, physics, space and humans; the second is extending technology of the above fields that points the way forward for technological development; the third is social challenges facing the EU and the world. Laurent hopes that counties work together to find solutions. Next, Joanna Bunting, Counsellor (Industry, Innovation and Science) at the Australian Embassy in Beijing said that Australia invests AUD10 billion in innovations each year and 15 Nobel laureates and the global application of WIFI best prove its strength. 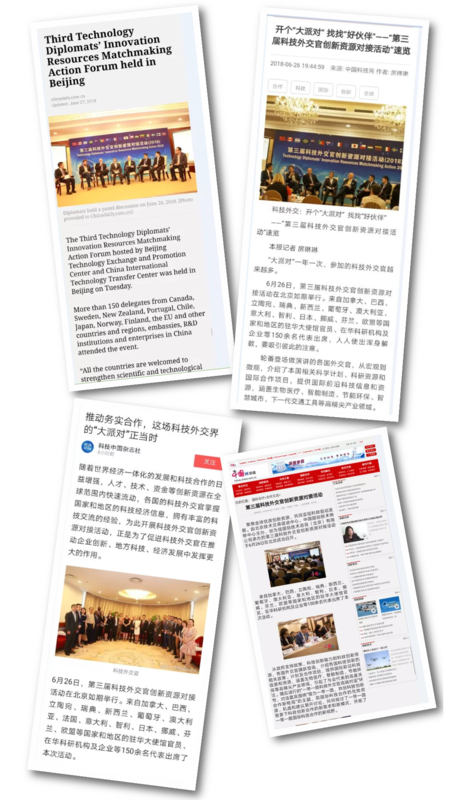 A three-person group sent by Yijun Song Commercial-Ontario Counsellor, Embassy of Canadian, communicated and fully connected with and served S&T companies participating in Chinese-Australia cooperation in Chinese. Brazil highlighted its advantages in tropical agriculture, regional jet, and biofuel. 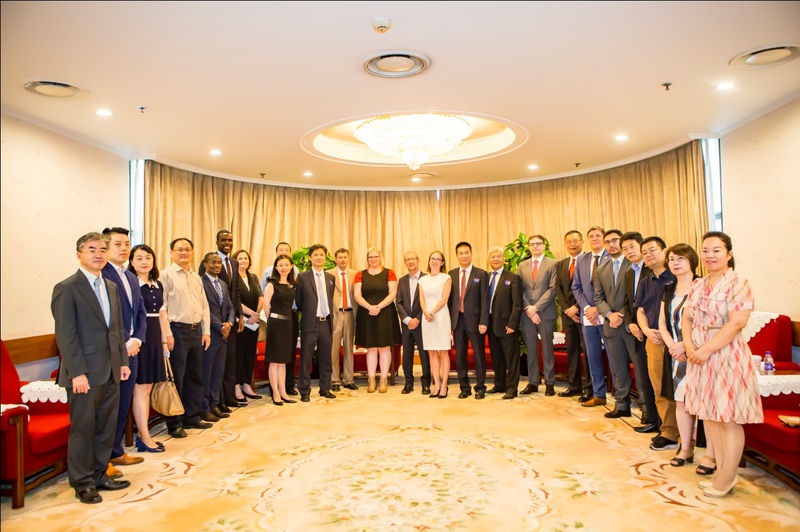 Nannan Lundin, Counsellor Science & Innovation at Embassy of Sweden in Beijing, discussed how Sweden cooperates with China in science and technology after sharing the S&T innovation development in Sweden. 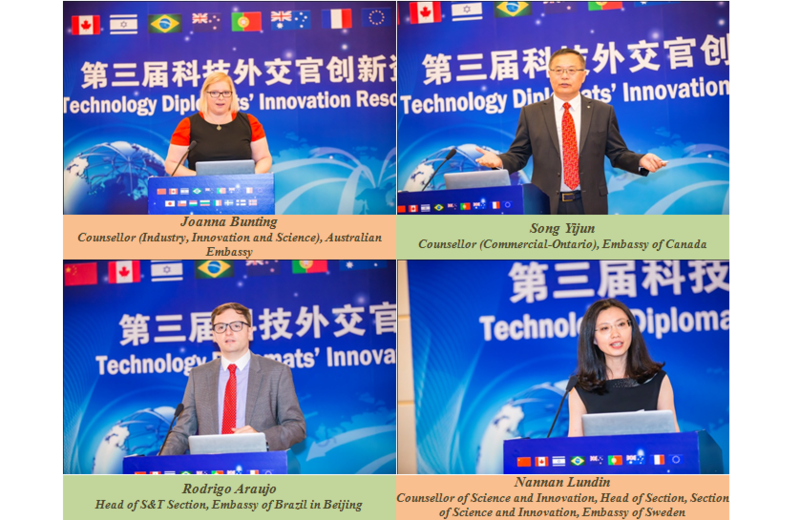 Technology diplomats of different countries gave speeches on aspects from government support policies to S&T innovation capacity and resources. They discussed, from micro to macro perspectives, in detail S&T innovation policies, plans and cooperation projects of their respective countries, and made available information and resources relating to international frontier technologies covering sophisticated industries including biomedicine, intelligent manufacturing, energy conservation and environmental protection. This drew attention from delegates. In spite of varied priorities, delegates from different countries emphasized platforms based on bilateral and multilateral intergovernmental cooperation and basis for previous cooperation in their speeches. Audience was impressed by their analyses of cooperation cases from different levels, including those with the Ministry of Science and Technology, universities, companies and renowned scientists. At the subsequent “Belt and Road Technology Diplomats’ High-level Talks”, participating guests had a discussion about superior resources, opportunities and suggestions centering around the theme of “leveraging the Belt and Road Initiative to reshape scientific and technological innovation”, and explored new requirements and models of S&T innovation in the context of Belt and Road to open up new horizons for Belt and Road international S&T cooperation. The “Science Diplomacy Bridges Sophisticated Sectors” themed S&T cooperation project roadshow focusing on biomedical, energy saving and environmental protection, new energy and material, AI and other sophisticated industries held in the afternoon brought together more than 60 delegates from leading businesses and institutions of Canada, Sweden, Lithuania, and New Zealand. 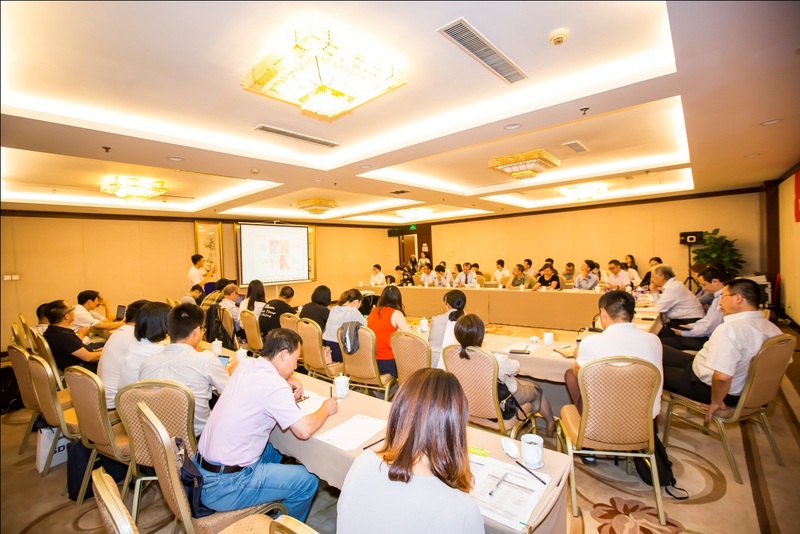 Roadshow institutions actively connected with businesses from Beijing, Hebei, Inner Mongolia, Tianjin, Anhui and Hubei and reached a number of cooperative intentions in a lively atmosphere. 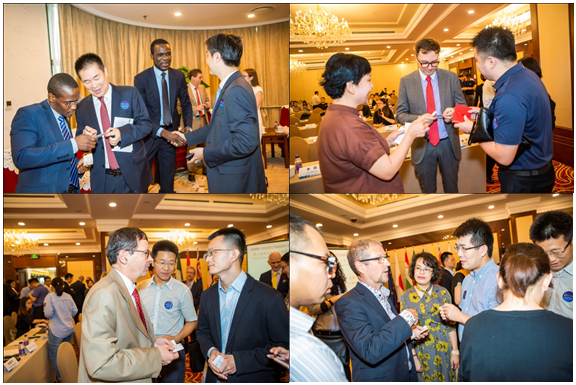 Project roadshow organizations actively connected with respective companies from Beijing, Hebei, Inner Mongolia, Tianjin, Anhui and Hubei in a lively atmosphere, with a number of cooperation intentions reached. 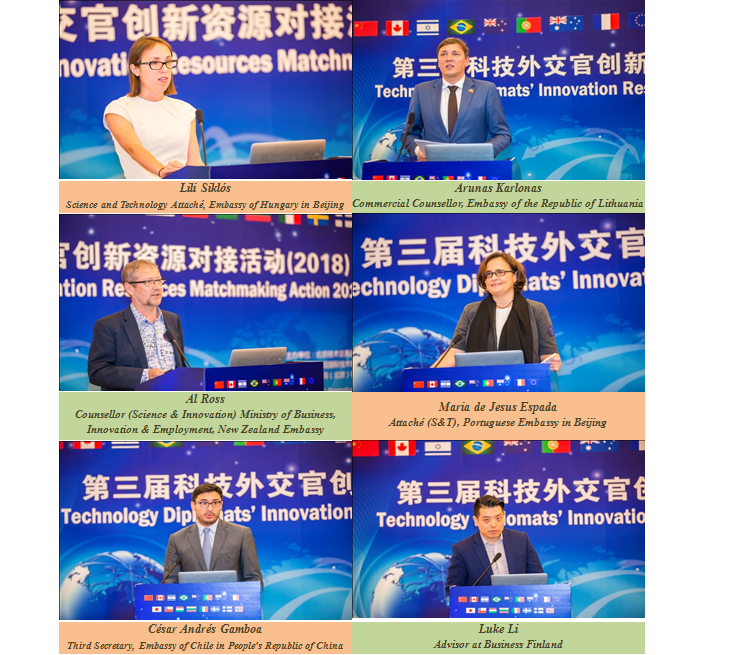 Delegates who actively participated in the session and asked questions freely interacted warmly with speakers who answered questions on site during the project presentation moderated by Dingbing Xu, CTO of ChinaWorth Global Tech Consulting (Beijing) Co., Ltd.
As a major international S&T cooperation information exchange platform, this branded Action has been held for three consecutive sessions, has been recognized as a highly influential, effective channel for communicating international S&T information and facilitating international innovation cooperation, is well received by technology diplomats and is attractive to professionals from political, industrial, academic and research communities. 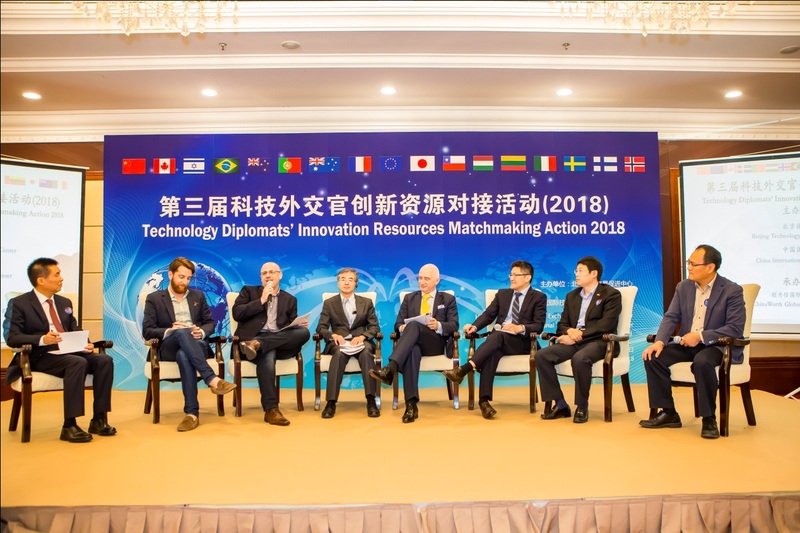 As the organizer, ChinaWorth works to build diversified, high efficient international resource exchange platforms, facilitate international S&T information and resource sharing and international exchange & cooperation, help shape the future of Beijing as a “S&T innovation center” and “international exchange center” and achieve the strategic goal of positioning Beijing as a “national S&T innovation center”. Until now ChinaWorth has organized three sessions of the technology diplomats’ series activities in a row and helps technology diplomats play a bigger role in spurring business innovation and local S&T and economic development through careful preparation, targeted action, active resource connection, and effective organization for gaining quicker and more accurate access to frontier technology information and S&T projects, sharing information about technology, projects and S&T conditions, and providing fast S&T information and technical services to companies at home and abroad. This event also caught a lot of attention from media and has been reported by ChinaDaily, stdaily.com, eastday.com, Science and Technology Daily, China.com.cn, among others.